Peggy Joan Maxie was the first black woman elected to public office in Washington State. She served as Washington State Representative, position no. 2 in the 37th Legislative District in Seattle, from 1971 through 1982. Maxie was born August 18, 1936, in Amarillo, Texas to Cleveland and Rebecca Maxie, an auto mechanic and a housewife. By 1942, her parents were divorced and Rebecca moved with her four children to Seattle in hopes of a job with Boeing Aircraft Company—which she landed the day after she arrived. Peggy Maxie earned a bachelor’s degree in psychology from Seattle University in 1970. That year, her brother, Fred Maxie, decided to run for state legislature, but changed his mind. Her other brother, Bob Maxie, called her from the sign shop and said he already had a campaign sign printed with their surname, and encouraged her to run. Her brother Bob, with the help of a Seattle University professor, ran her successful first campaign for the State House of Representatives. As she campaigned, Maxie began graduate school at the University of Washington. She got special permission from the Dean of Social Work to be a student and a legislator at the same time. She graduated in 1972 with a thesis on no-fault divorce law—which the legislature passed in Washington State the following year. In 1973 Maxie was the prime sponsor of the House version of a bill that became the Landlord-Tenant Act of Washington State. The law established landlord responsibilities such as maintenance, and notification before entry into a tenant’s unit. Maxie twice chaired the higher education committee and thereby sponsored several education bills, including one that funded a new building for the University of Washington School of Social Work. She also sponsored the bill that brought the first driver license testing facility to the Central Area. Maxie was acknowledged by the University of Washington in 1981 for her community workshops on participatory democracy, which she considers one of her greatest accomplishments in office. 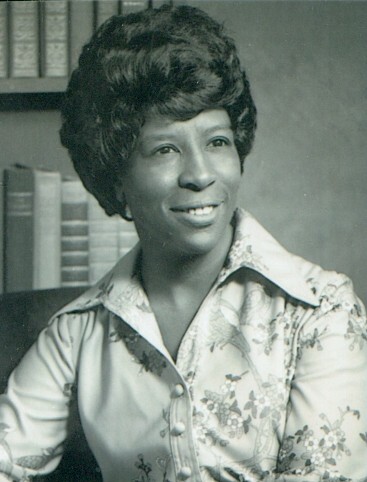 Maxie’s legislative career ended after she was defeated in the Democratic primary by Gary Locke in 1982. She’s a mental health therapist, and continues to live and work in Seattle’s Central Area. Her accolades include an honorary doctorate from St. Martin’s University in Lacey, Washington. Author interview of Peggy Maxie (December 1, 2008); Sharon Boswell, R.R. 'Bob' Grieve: An Oral History (Olympia: Washington State Oral History Program, 2001); Peggy Joan Maxie, No-Fault Divorce (Seattle: University of Washington, 1972).